What Is Click Hardwood Flooring? Click hardwood flooring is a finish material used to cover floors in homes and light-commercial applications. It is a fairly new technology that relies of floorboards that click together without the use of tools or equipment. They require no nails or staples and are not fastened to the subfloor like traditional wood flooring, but instead rest on top using a "floating floor" system. Click hardwood floors are installed quite differently than most other floor coverings. Rather than connecting each plank to the subfloor, they are connected to one another. Some models recommend using adhesive between each board, though most simply click or snap together by hand. They can be installed over most other floor coverings, except for existing carpet or wood, and are more forgiving than hardwood when installed over subfloors that are in poor condition. These floors feature boards equipped with integral connectors on either side. A tongue-and-groove connector is most common, but other types are continuously being added. Many click hardwood floors have a built-in foam padding to provide insulation and cushioning underfoot. These floors are available in a wide variety of wood grains and colors to suit any decor. The term "click hardwood flooring" refers to any wood floor product designed to snap together without nails or fasteners. Many popular flooring manufacturers use proprietary names for these products, though installation is fairly consistent across different brands. 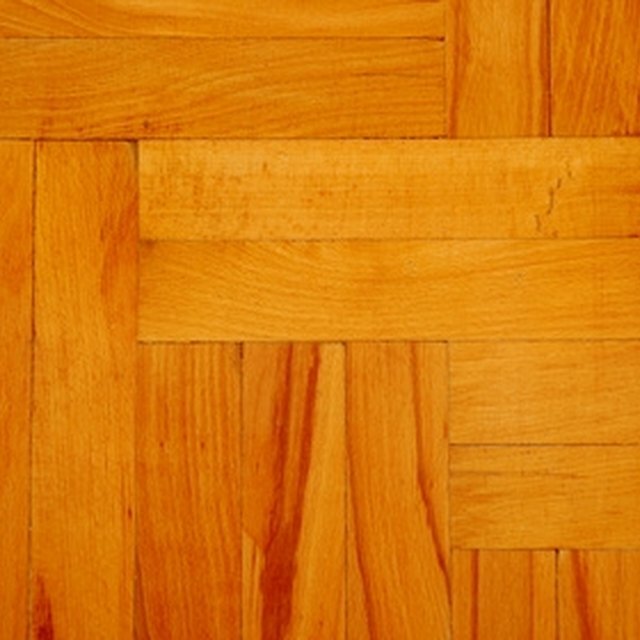 Some common brand names for click wood floors include Bruce Lock & Fold, Columbia Uniclic, and Forbo Click. Other manufacturers may use terms like "click together" or "locking" to describe these floors. When choosing click hardwood floors, it's important to understand the three different products designed using this technology. Most click floors are made from laminate or engineered products. Laminate floors are made of composite wood boards with a printed paper top coat. The paper is printed to look like wood, then sealed with a clear finish layer. These floors are the most affordable of the three, but also cannot be refinished like wood. Engineered products feature a composite base topped with real wood veneer. They can be refinished to an extent and are less expensive than solid wood. Few click-together systems are made of solid hardwood, but those that are will generally come with the highest price tag. Because click systems are floating floors, they are fairly easy to install as a DIY project. This can provide homeowners with a significant cost savings, as there is no need to higher a professional installer. These floors require much less subfloor preparation than many other finishes and can be used immediately after installation. Click floors require no special tools or equipment for installation, and an average-size room can be completed in about a day. Can You Restain Over Stain on Hardwood Floors? Why Is My New Wood Floor Curling on the Edges? Do Wood Floors Have to Match? Can Engineered Hardwood Floors Be Sanded?